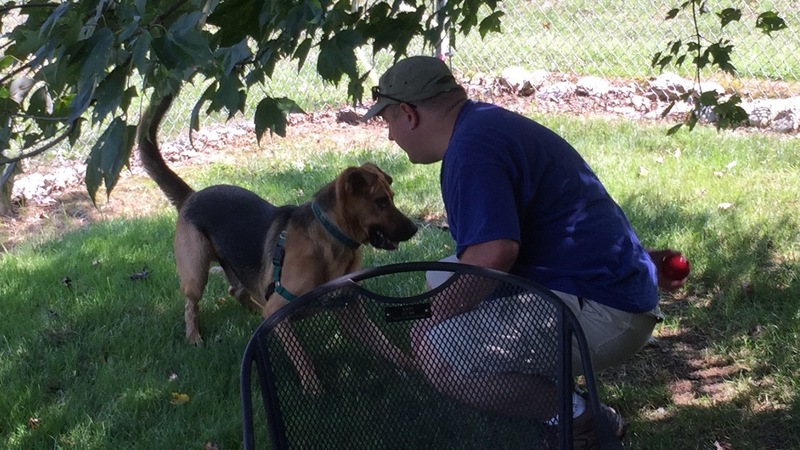 Eric and I recently started volunteering at the League for Animal Welfare in Batavia, OH. We get to do all the fun things like walk the dogs and play with them, give them treats. We are impressed with how nice the place is…so clean and thoughtfully designed. LFAW is a no-kill facility to boot. Eric fell in love with one of the dogs, Gideon. We were happy to learn during our most recent visit that Gideon is now with a foster family. This entry was posted in Blog Update and tagged animal shelter, dogs, leagueforanimalwelfare. Bookmark the permalink.